Guabuliga, a village located in the tree savannah, set up by the local inhabitants that live and work here. They have created a settlement over generations that is adapted to its natural environment and covers most needs of the traditional way of life. Locals tell stories about trees, and the trees tell the history of the village. Socio-economic changes lead to new values and spatial expressions. Traditional patterns are dissolved, and new spatial expressions become necessary. The activation of environmental potentials offers opportunities for a new way of self-sustainability. Project Greenbelt project has beneficial climatic effects and creates new spaces for a new cultural identity. 150 trees, planted by the inhabitants themselves, supply the village with fruits and initiate that its ecological balance is restored. 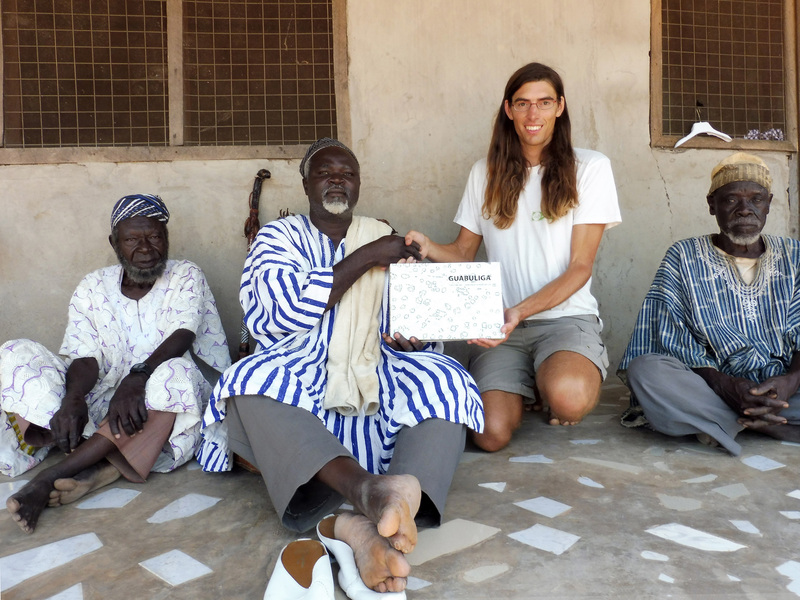 The doctoral thesis ‘Guabuliga – Open Spaces of Everyday Life’ examines the village of Guabuliga in northern Ghana / West Africa, its history, the way of life of its inhabitants, the open spaces they create and its sustainable future. It covers 4 years of scientific research on site. The thesis was finished in 2016 and presented in Vienna as well as Guabuliga. This book contains 356 pages and is available in English or German for 48,80€ at guabuliga@gmx.at.